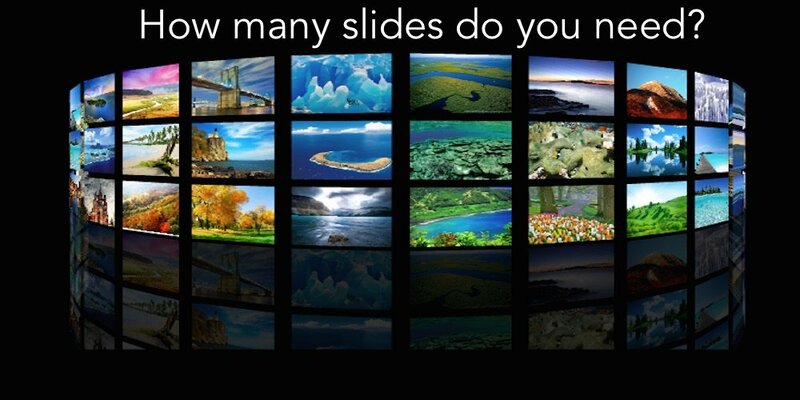 Slide design tips: How many slides? My top slide design tip: The number of slides is not nearly as important as creating a clear message that people can hear and act on. Everything in your presentation (what you see and hear) should support or illustrate your message, not be a something you read. So the question should be in Slide design : Do they add to my message, or are have my slides become my message? An easy rule of thumb is one slide per 2-3 minutes, but only if they help you make your point and still comply to the “think billboard rule”. 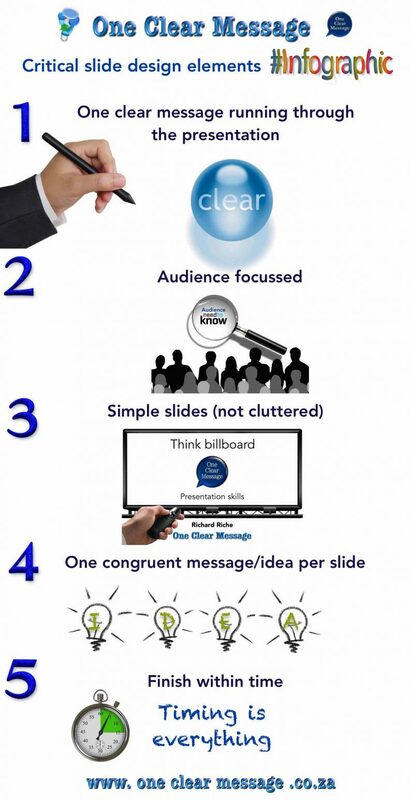 Some presentations will have a deck of 5 for 10 minutes of talking (e.g. a process with 5 steps – 1 per step). Others, due to the complexity of the concept may have 1 slide per 10 minutes talking (e.g. financial graphs/charts with each project appearing one at a time). 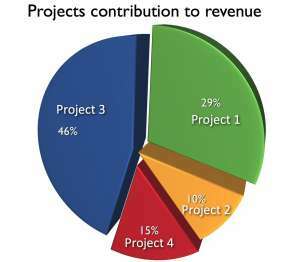 This pie chart could be used as an overview. A quick illustration of how the different projects add to the organisation’s health (1 slide = +/- 2 minutes of talking). Alternately each pie segment could be brought in one at a time and the relevant projects discussed (1 slide= +/- 10 minutes of talking).